The grandest Disneyland® Resort Hotel of them all is now even grander thanks to a recently completed yearlong renovation. From its refreshed lobby, pool area and luxurious concierge-level lounge to its totally redesigned Guest rooms, Disney’s Grand Californian Hotel® & Spa has been re-imagined for an even more spectacular experience. Welcomed by the impressive sight of the Hotel’s six-story lobby—replete with new furnishings and designs—you’ll immediately sense you’re in for an unforgettable stay. This feeling is reinforced by the new look of the spacious Guest rooms, which offer a contemporary take on the classic Arts & Crafts style—with a dash of Disney whimsy to make it extra magical. But the new upgrades extend beyond mere aesthetics with all rooms now boasting the very latest technological features as well as premium amenities. And of course, as one look out your balcony window will tell you, more Disney fun and magic are never far away when you stay at this one-of-a-kind Hotel. Select rooms feature views that make you feel as if you’re right inside Disney California Adventure® Park—which, incidentally, can be accessed via the Hotel’s special entrance (valid Theme Park admission and Hotel key card required). 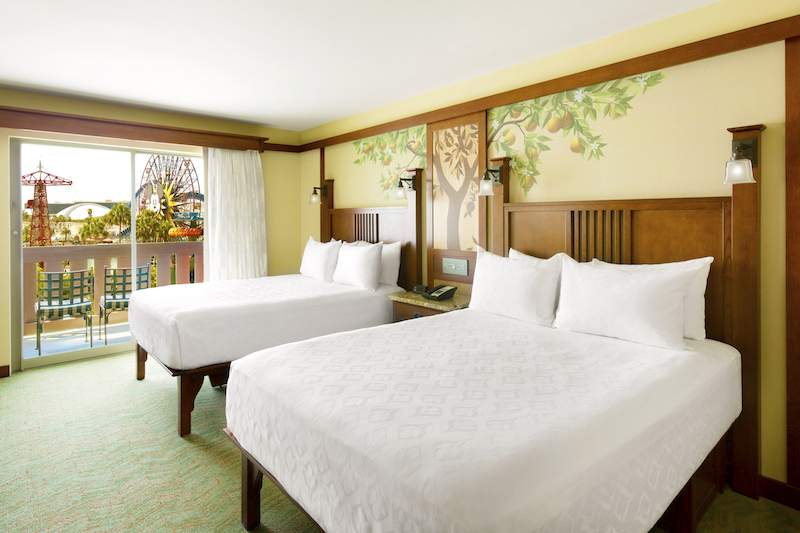 While other rooms offer a view of the neighboring Downtown Disney® District. Besides its prime location, Disney’s Grand Californian Hotel & Spa offers something for Guests of every age. From some of the most diverse (and delicious) dining options at the Disneyland Resort to the on-site, full-service Mandara Spa. Serenity can also be found outdoors among the Hotel’s collection of sparkling pools, including the main Mariposa Pool, which offers well-appointed poolside cabanas (at an additional fee). But one thing hasn’t changed—and that’s the Disney commitment to delivering legendary service. 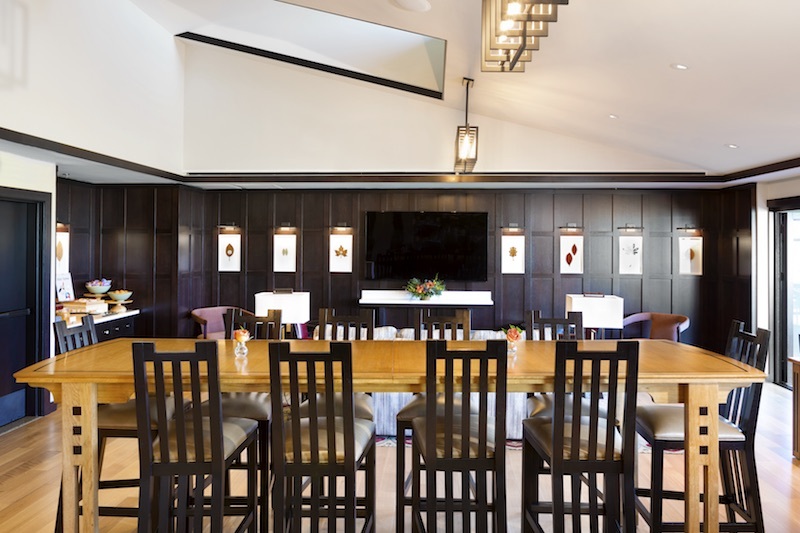 It’s this detailed attention to Guest satisfaction that has earned Disney’s Grand Californian Hotel & Spa the Condé Nast Award and AAA Four Diamond Hotel status—just two more reasons to stay at this spectacular Hotel. So why wait any longer? Book your stay at Disney’s Grand Californian Hotel & Spa today and ask about the availability of special seasonal offers.